Amber Case studies the interaction between humans and computers and how our relationship with information is changing the way cultures think, act, and understand their worlds. A TED speaker and author, Case enjoys meeting and interacting with interesting audiences all over the world. 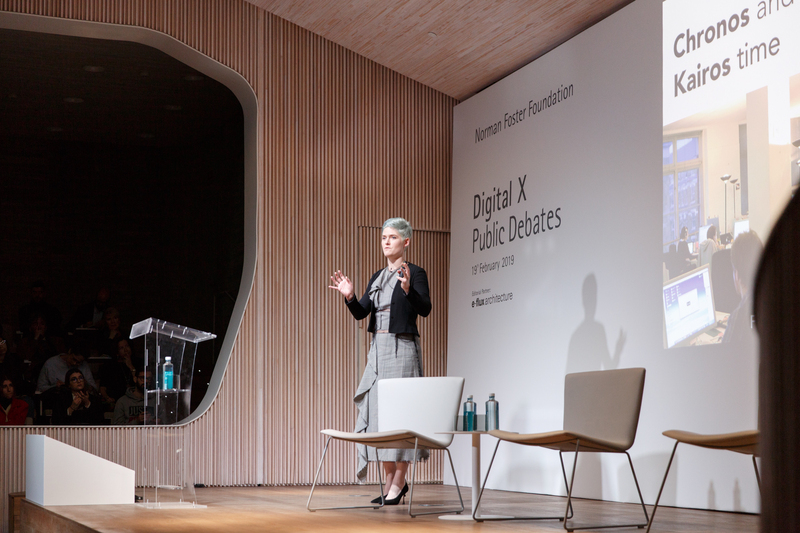 Her speeches range from the future of technology and humanity to telecom, location-based applications and anthropology. Case is currently a fellow at Harvard University’s Berkman Klein Center for Internet and Society and a visiting researcher at the MIT Center for Civic Media. She is the author of Calm Technology, Design for the Next Generation of Devices. 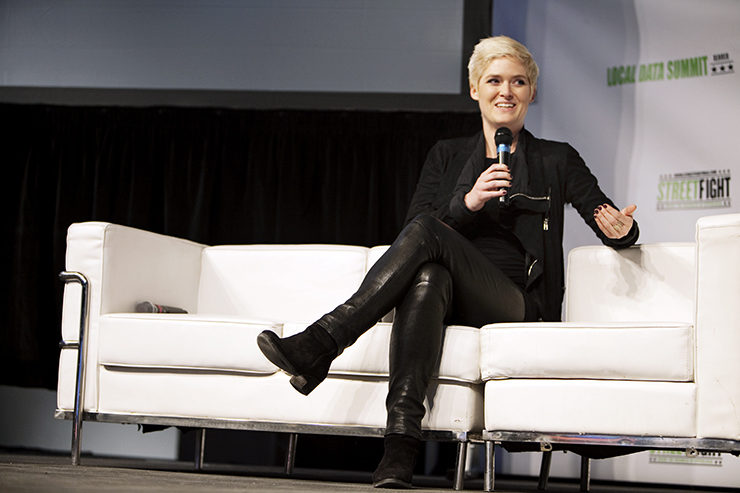 and, she’s been featured among Fast Company’s Most Influential Women in Technology. Case lives in Somerville, Massachusetts and Portland, Oregon. She was previously the co-founder and former CEO of Geoloqi, a location-based software company acquired by Esri in 2012. You can follow her on Twitter @caseorganic and learn more at caseorganic.com. For writing and speaking opportunities, please reach out to Monica Davis (monica.davis at caseorganic dot com), caseorganic at gmail dot com, or reach out on Twitter @caseorganic. Want me to speak at your event? Please get in touch! Image below © Norman Foster Foundation. Used with permission. Cyborg Promo for 20th Century Fox and Alita: Battle Angel - 2019. Available for speaking engagements on Calm Technology and Designing with Sound starting in September 2019. Get in touch! 14 Keynote on Calm Technology Linux Foundation, Portland, Oregon. 1-2 Feb: Keynote, The Media Insights & Engagement Conference, Ft. Lauderdale, Florida. 7-9 Feb: Humans Need Not Apply Exhibit at Science Gallery, Trinity College, Dublin, Ireland. Guest Curator. 28 Feb: Workshop, Designing Calm Technology at ConveyUX, Seattle, WA. 28 Feb: Puget Sound UX Meetup. The Evolution of UX Careers: Looking to the Future at ConveyUX, Seattle, WA. Panel including Cory Lebson, Peter Merholz, Joe Munko and Emma Rose. 1 Mar: Opening Keynote: Designing for Privacy in Mobile and Web Apps: Practice privacy by design, not privacy by disaster! at ConveyUX, Seattle, WA. 4 Mar: UCSC Conf on Social Fiction, Santa Cruz, CA. 9 Mar. Smart Content Summit. Los Angeles, CA. 15 Mar. Financial Security and Calm Technology. MRC Vegas Security Conference. Las Vegas, NV. 22-26 Mar: Keynote, IA Summit, Vancouver, BC. 4-6 Apr: FUSE design and brand strategy conference, Miami, Florida. 9-11 May: FEI Boston, Boston, MA. 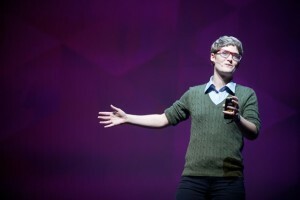 16-17 May : The Next Web Conference, Amsterdam, The Netherlands. 22-25 May: LiveWorx from PTC. Boston, MA. Thursday, May 25, from 11:30 am – 12:15 pm. Designing Calm Technology. 25 May: Host of Brave New Now, Samsung’s newest podcast about tech, culture and humanity. Recorded during a live event at Samsung 837 with panelists comedian Baratunde Thurston, MTV’s Taylor Trudin and Google designer Liam Spradlin. 28 May: You Are Here. Virtual Reality Event hosted by Portland Immersive Media Group at Pioneer Courthouse Square in downtown Portland, Oregon. 13 Jun: FEI Europe. Crowne Plaza London – Docklands, London, UK. Designing Calm Technology- The New World of IOT & AI. 14 Jun. The Virgin Way Workshop 2017: Workshop and speech on Calm Technology. 15 Jun: Internal speech at Space Doctors, a cultural analysis and semiotic insight agency in Brighton, UK. 30 Jun: “Coffee with Mr. IoT”. Live video podcast with Robert Schmid from Deloitte. 27-30 July: DEFCON 25. Las Vegas, NV. Panel on Biohacking. 4-5 Sept: IFA+Summit. Berlin, Germany. 7-8 Sept: International Retail Summit. Zurich, Switzerland. 13-15 Sept: Waterloo Innovation Summit. Waterloo, Canada. 19-22 Sept: Conference on the future of AI. Juvet Landscape Hotel, Norway. 4-5 Oct: Fedex Security Awareness. Memphis, TN. 16-20 Oct: SIBOS. Financial Security and Calm Technology. Toronto, ONT. 24-25 Oct: Media Insights Conf. Orlando, FL. 26-28 Oct: Northern User Experience (2016 site) Manchester, England. 12-13 Nov: Liquidnet Conference San Diego, CA. 1-5 Dec: Innovation Conf Toowomba, Australia. 7-9 Sep 2016: Guest curator for HUMANS NEED NOT APPLY, Science Gallery Dublin, Dublin, Ireland. Public event 8 Sept 2016. 11 Sep 2016: First arrival in Cambridge, MA for year long fellowship at Harvard’s Berkman Klein Center for Internet and Society. 1 Nov 2016: Keynote, Kohler Design Conference, Kohler, Wisconsin. 05 Mar 2015: Keynote Speech on Calm Technology: Location Data Summit, Denver, Colorado. 19 Mar 2015: Designing Calm Technology at Institute for the Future (IFTF) Palo Alto, California. 21 Mar 2015: Unconference talks. Calm Technology and Technology and Depression. Dent Conference, Sun Valley, Idaho. 23 Apr 2015: Keynote on Calm Technology: Craft Conf, Budapest, Hungary. 5 May 2015. Calm Tech Talk. Hand-Eye Supply, Portland, Oregon. 15 May 2015. Present Shock: When Everything Happens Now. Co-keynote with Douglas Rushkoff. Hilton Head Island, SC. 25 Jun 2015. Airbnb Design Team Talk. Ziba Design, Portland, Oregon. 15 Jul 2015. Design Museum Story Hour. OnDeck Sports Bar Rooftop. Portland, Oregon. 23 Jul 2015. Designing ‘Calm’ Technology: Tools and techniques. O’Reilly’s OSCON, Portland, Oregon. 9 Sept 2015. Calm Technology: Inbound Conference Bold Talks, Boston, Massachusetts. 11 Sept 2015. NPR TED Radio Hour: Are Our Devices Turning Us Into A New Kind Of Human? 5 Oct 2015. Keynote: Calm Technology. Delight Conference. Portland, Oregon (video link). 18 Oct 2015. The Radical Therapist #010 – We Are All Cyborgs Now w/ Amber Case. 7 Oct 2015. Designing Calm Technology. yet Conf. Richland, WA. 6 Nov 2015. Organizer and Speaker at Web 1.0 Conference. Vadio Portland, Oregon. FutureTalk with Amber Case | Mon, January 13, 2014, 6pm – 7pm | New Relic – The Great NW – 111 SW 5th Avenue – Suite 2800 – Portland, OR 97204. 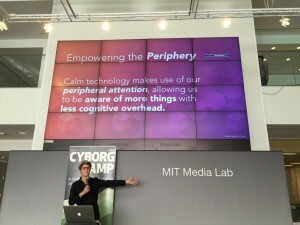 Amber Case introduces Calm Technology during a special editionCyborgCamp Unconference at MIT Media Lab in 2014. Amber Case presents Designing Calm Technology at Webdagene, the leading conference on tech and design, in Oslo, Norway. 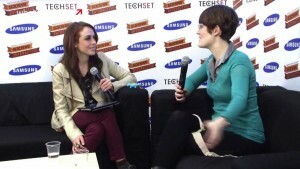 Shira Lazar interviews SXSW Keynote speaker Amber Case for What’s Trending in 2012. Amber Case speaking on behalf of T-Mobile Croatia in 2011.